Are you guys ready to see what is in my surprise box?? My previous welcome pack click here! Look at the products that I received!! I want to cry. The emoticon is behalf of my expression when I opened the box for the first time. I'm so excited to try this bodywash because I read good things about almond oil especially for your skin. And one more thing that makes me excited is that this is my first time ever in my life I saw a unique fragrant bodywash that claims its anti-bacterial! Yeay! I still haven't used this but the smell is not bad at all. No ahjumma smell believe me. Well if you follow my blog and my youtube channel, you probably know that I am obsessed with BB creams for the past two years. This is by far the BEST BB cream that I ever tried!!! It makes my super oily skin feels matte over 6 hours!! Don't believe me? 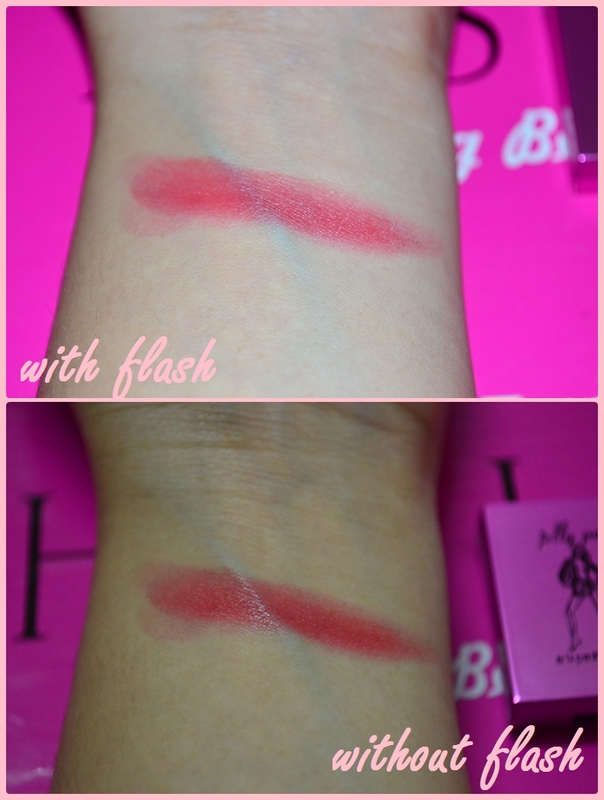 Read this post till the end..
My review : When I saw the color of this lip stain I'm quite concern with the color. As you can see in the picture above the color is more to plum to burgundy color. 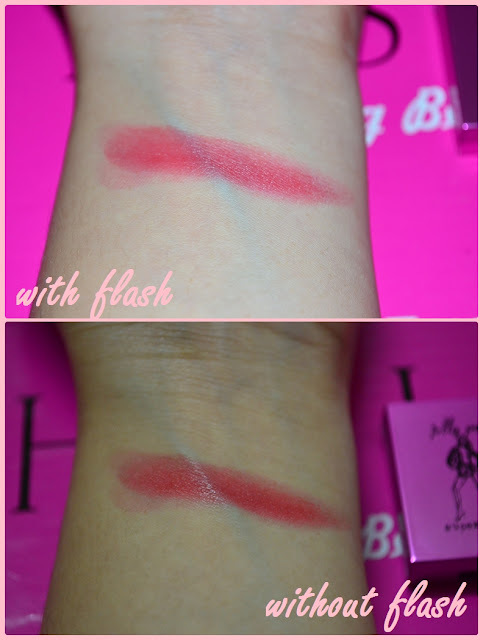 But when I swatch it, I am so wrong. It is such a beautiful cherry color. And I love it!! 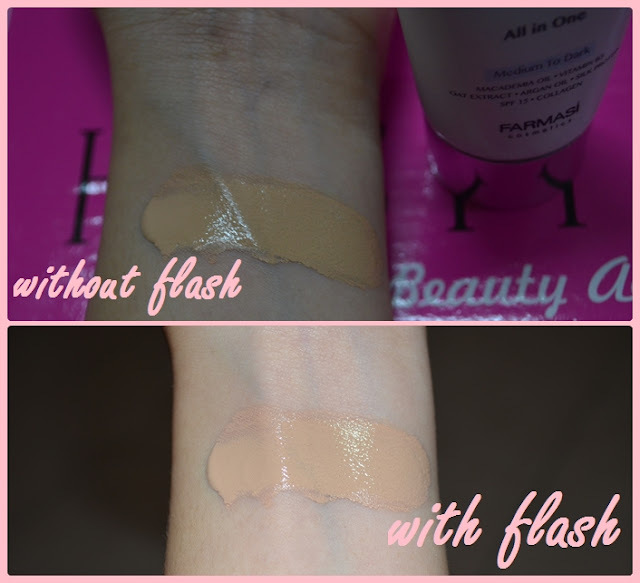 My review : The BB cream is in medium to dark shade. I thought my skin color is more to fair. But again, I am totally wrong when I apply it to my skin. It matches my skin color very well. I go reach my Etude House BB cream and yup. Medium beige. My skin color is medium. Not fair anymore. (Weather does affect my skin sometimes.). Not to mention the staying power of this BB cream is absolutely amazing. Look at the picture below. This picture was taken around 8pm, I did the makeup around 12 pm. Look at that. I did not touch up for the entire day!! Not even a press powder.. You might think all of the reflection around my cheeks, and T zone areas are oily. It is not. It was my highlighter. This picture taken with flash. So lets have a look without flash. My skin looks dewy and matte like the first time i applied the makeup. I love this BB cream so much! But, the only thing concerned me is the smell. I don't like the smell. And yup it smell like ahjumma a bit. But overall this product is a mind blowing. And last but not least, I received vouchers and some welcoming card that comes with the box every month. Like I said in the title, this is the BEST SURPRISE ever!!! You will get RM20 REBATE off your total purchase..